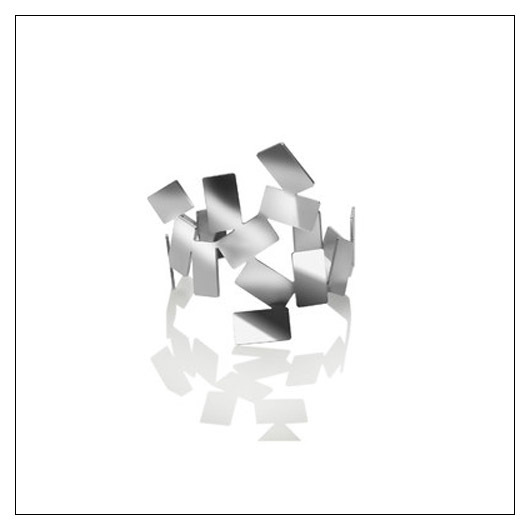 Alessi "Maestrale" Bracelet (ALMAESTRA) at Pure Design / Accessories / Jewelry ::: Furniture for the Home, Office, Home Office, and More at Pure Design Online! Maestrale shares the same design concepts as companion pieces Fiato Sul Cullo necklace and Alisei earrings. The stainless steel confetti shapes sparkle as they react to lights and surrounding colors. Sorry, this product is not available until January. Please call 800-483-5643 if you would like to pre-order this item.